Other two inps where our Greek hero (?) takes advantage of -nothrottle at POST screens to bump his percentages, just like Final Fight Revenge. 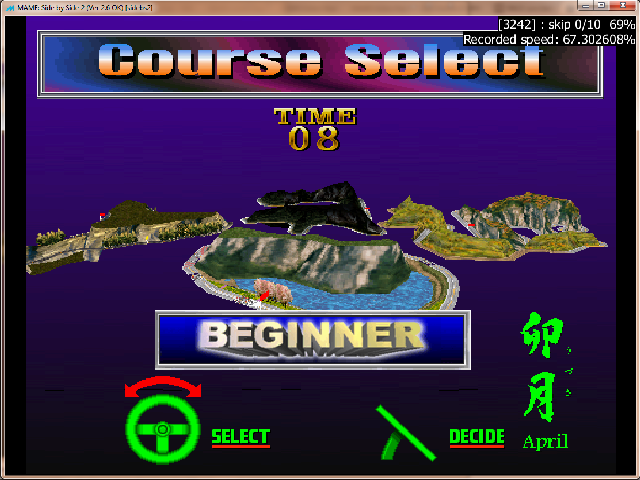 Scoring system he arbitrarily decided to use is style as well: 1 million for each checkpoint passed, wtf. Where are you from bob? Kale wrote: Scoring system he arbitrarily decided to use is style as well: 1 million for each checkpoint passed, wtf. It's the same scoring system I saw in another similar games. Kale wrote: ..... takes advantage of -nothrottle at POST screens to bump his percentages, just like Final Fight Revenge. Meanwhile I've posted a thread about "calspeed" in which two players have speed <90% just like Final Fight Revenge, the confirmer saw it and confirmed score! But our "hero" Kale said nothing about it. I just watched my sidebsja's inp. 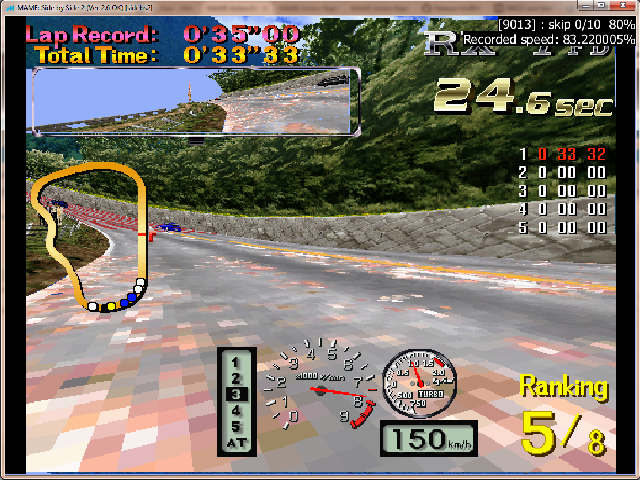 Unlike ffreveng, my speed during the race is clearly >90%. PP. wrote: Meanwhile I've posted a thread about "calspeed" in which two players have speed <90% just like Final Fight Revenge, the confirmer saw it and confirmed score! Confirmation only means that it is confirmed to play back to the claimed score, not necessarily that no Marp rules were broken in the recording and that it won't at some point in the future potentially be zeroed. Please also be aware that not everyone who can confirm a score has the necessary permissions to be able to "zero" a score, if it is found to be breaking any Marp rules such as < 90% speed. BeeJay wrote: Confirmation only means that it is confirmed to play back to the claimed score, not necessarily that no Marp rules were broken in the recording and that it won't at some point in the future potentially be zeroed. Yes, I already know this. The point is that 6,5 years ago Saulon did in "calspeed" what I did in "ffreveng", but no one accused him for exploits. Let's see what will now happen. PP. wrote: I just watched my sidebsja's inp. Unlike ffreveng, my speed during the race is clearly >90%. Just calculate the average speed. Thanks Kale. Both scores zeroed for < 90% speed during game play. BeeJay wrote: Thanks Kale. Both scores zeroed for < 90% speed during game play. My games were legal, as I explained. And what about ffreveng, why you still keep it there after so many months? PP. wrote: My games were legal, as I explained. You claimed they were played at an average > 90% but they were so frequently below 90% during the important parts of game play, when watching with the stats displayed, that they do not meet Marp's minimum speed requirements. PP. wrote: And what about ffreveng, why you still keep it there after so many months? There was a posting for a TK2012 and PP games running below speed, and they were dealt to. Looking again at that posting you mentioned in passing about another score but it would be better to put in a separate posting as that could easily have been lost in the noise. Actually, the scores which were deleted were first reported in March 2017. That's hardly immediately. 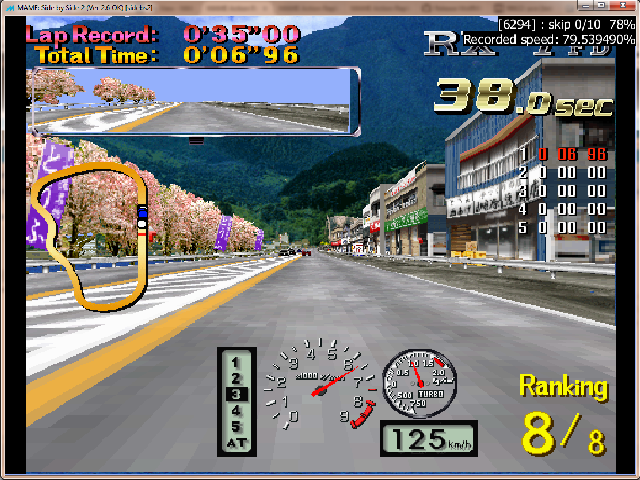 BeeJay wrote: There was a posting for a TK2012 and PP games running below speed, and they were dealt to. Looking again at that posting you mentioned in passing about another score but it would be better to put in a separate posting as that could easily have been lost in the noise. TK's score was deleted. SFCHAMPION's score was not deleted, even that I was told that it will. So, how many more months are you going to keep it? BeeJay wrote: Actually, the scores which were deleted were first reported in March 2017. That's hardly immediately. After 6 years this score still exists, but you deleted immediately my 'Side by Side' score, why you act like this? Is Saulon 'smarter' or under protection? There's no special protection for saulonpb. n) Using Pause 'P' or suspending the MAME program to take advantage of more time while making a recording will not be allowed. 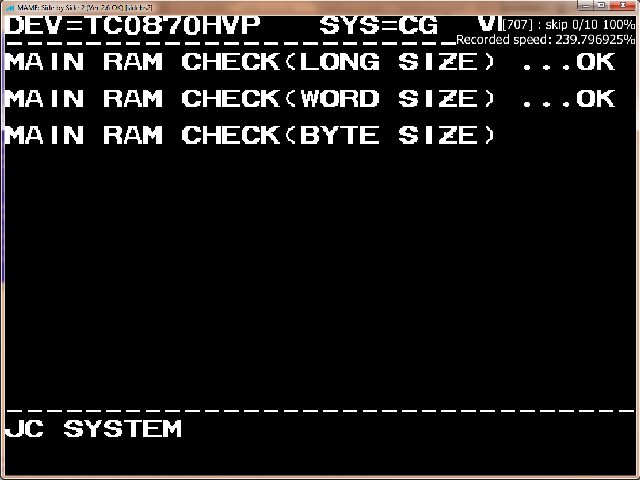 The same goes for turning throttling off 'F10' to speed up MAME beyond normal speed. The same goes -> Also applies to. Kale wrote: There's no special protection for saulonpb. Then why they keep his bogus inps? Calspeed and ffreveng are recognized by mods as speed downgraded, but still exist in boards. Because you don't shut up? Pushing the threads with "oh noes, editors gives a special treatment to saulonpb" doesn't give room for editors to do their job. Because important stuff gets lost between YOUR OWN rants. Kale wrote: Because you don't shut up? But we wait months or years for other speed downgraded scores to be deleted.